SWTA serves eight great states! Tulsa Transit Kicks Off The Connecting Progress Plan. TULSA, Ok— The Metropolitan Tulsa Transit Authority (Tulsa Transit) is excited to announce the start of the Connecting Progress Plan. Tulsa Transit will complete the Connecting Progress Plan which is an operations analysis to determine the best way to deploy, and possibly reorganize, routes to serve existing and future transit customers. Potential outcomes of the Connecting Progress Plan include improvements to route connections, frequency, service span, and trip speed. Michael Tann, the executive director for Erie Metropolitan Transit Authority in Erie, Pa., has been hired to lead Wichita Transit, City Manager Robert Layton announced on Tuesday. Two important SWTA Member issues to consider: Bylaws Revision and 2018-19 Slate of Officers and Directors. Delta casts a skeptical eye on snakes, turkeys, possums and ducks in the cabin. Read about the government shutdown and the Community Transportation Association of America’s analysis of how it affects you. After an extensive search, the OTA Board Members unanimously voted to appoint Mark Nestlen as the new Executive Director, effective February 1, 2018. Transit industry executive search firm KL2 Connects LLC announces the addition of John Bartosiewicz as the firm’s sixth principal. Politico Pro released this fantastic infographic identifying trends of public transit use across the nation. Details on how more than 7.5 million American workers utilize services in their communities are invaluable in the continuous process to best serve these patrons. Make December 1st National Free Ride Day! Join Topeka Metro for their “We All Ride Together” campaign. With on-demand transportation services growing, cities need to adapt. Some are doing just that. ​Read stories from across the SWTA Nation detailing how transit agencies outside of the affected area are mobilizing to fill needs. Lewisville, TX (September 5, 2017) – On Monday, September 18, the Denton County Transportation Authority (DCTA) will launch Transit Tracker – its new vehicle tracking system that will provide passengers with access to real-time information for the DCTA A-train, fixed-route bus and shuttle services. Passengers will be able to track agency vehicles via phone, online, text and free mobile application. DCTA’s Transit Tracker will replace the agency’s current Where’s My Ride tracking tool. Starting this weekend, Capital Metro will add increased service to and from the mega shelter for Hurricane Harvey evacuees. The agency installed a temporary bus stop at the MetCenter in Southeast Austin, and will increase frequency of Route 228 to serve the shelter location. K. Jane Williams has been appointed Deputy Administrator of the Federal Transit Administration (FTA). Williams will help lead the agency within the U.S. Department of Transportation (DOT) that funds public transportation systems across the country and oversees their safety. VIA Metropolitan Transit announced Tuesday it will continue to provide free public transportation to Hurricane Harvey evacuees who are in emergency shelters in San Antonio and Bexar County. Passengers are asked to show their shelter-issued wrist band in order to access the free service and may travel anywhere within VIA’s service area. VIA President and CEO Jeffrey C. Arndt was recently named one of the best CEOs in the region by the San Antonio Business Journal. For the first time in its 50-year history, the National Transportation Safety Board (NTSB) has released a landmark study on speeding aimed at reducing speeding-related injuries and fatalities. The report acknowledges that speed is a deadly problem on our streets and roads, and that other federal agencies and states can do more to address it. Salina, Kansas – A new regional fixed route bus service will be in operation in early September 2017 for north central Kansas. 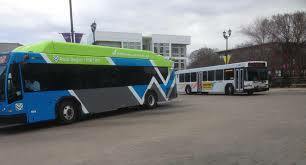 The Kansas Rides 81 Connection will serve Highway 81 locations from Belleville to Salina with a tentative start date of September 5, 2017. PHOENIX, AZ — Valley Metro continues to receive recognition for its leadership in the transit industry as it grows to connect more communities and people to opportunities. Valley Metro received three prestigious awards over the summer. EMBARK’s Board of Trustees awarded a contract Friday with Herzog Transit Services, Inc. for the start-up, operation and maintenance of the seven-vehicle Oklahoma City Streetcar system that’s expected to begin passenger service in late 2018. The $131 million MAPS 3 project started construction in January. Standing on the curb in Brooklyn, New York with 20 other Suits trying to get to LaGuardia airport, can be a lesson in adaptive survival. After 15 years of service in Lawton Area Transit System (LATS) is looking to give back to its employees and the community. The Capital Area Rural Transportation System will celebrate Earth Day 2017 by offering Free Rides on all CARTS services Friday, April 21st. EMBARK is making SmartMoves by adding compressed natural gas buses to the fleet and encouraging the public to take steps to reduce emissions. VIA Metropolitan Transit’s new mobile app will change the game for riders by putting convenient planning and purchasing power in the palm of their hand. 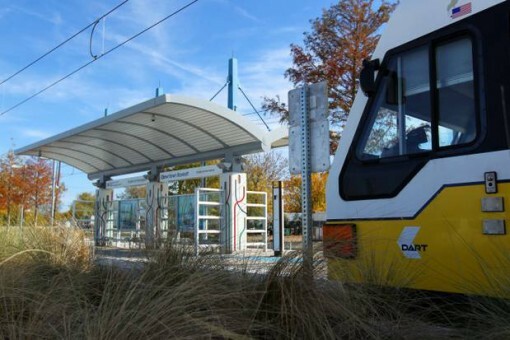 DART is one of many public transit agencies that has projects in the federal funding pipeline. Members of the U.S. House of Representatives wanted to know how Capital Investment Grants (CIG) will advance these transit projects. 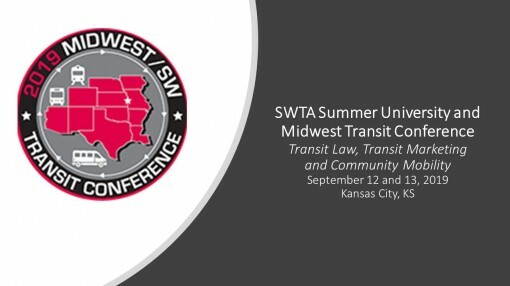 South West Transit Association (SWTA) honored U.S. Congressman Ed Perlmutter (D-CO) with the organization’s 2017 Legislator of the Year Award. Even on a cold snowy morning more than 50 transit leaders from across SWTA’s eight-state region braved winter storm Stella to attended the ceremony and breakfast. Launch Coincides with National Safe Place Week: Starting today, the North Central Regional Transit District (NCRTD), RTD “Blue Buses,” will provide northern New Mexico victimized youth with a fleet of safe places to help connect them to life-changing resources through its participation in the national “Safe Place” program and in partnership with Taos-based DreamTree Project. Congratulation! Terry Solis, former SWTA Board member, earns the prestigious COMTO Women Leaders in Public Transportation Award for Advocacy. Terry has been a wonderful advocate for public transportation and an enthusiastic partner/promoter of SWTA. We are thrilled that others have honored her efforts! In honor of the National Transit Driver Appreciation Day on March 18, Valley Metro has produced the following feature to spotlight their hard-working operators and maintainers. They will be featuring them with posts on Facebook, Twitter and Instagram March 12-18. The Denton County Transportation Authority (DCTA) has finalized an agreement with Texas Health Presbyterian Hospital Denton to open a new park and ride location at the hospital for the North Texas Xpress service. The new Denton Park and Ride location will open to the general public Monday, March 6. Lawton Public Schools will be starting a new bus program for its secondary students in January. The City Council, acting in its capacity as the City Transit Trust, agreed this week to a program that already had won approval from the Lawton Board of Education in early November: allowing the school district’s secondary students to use their student identification cards as a pass to give them free rides on any fixed route bus operated by the Lawton Area Transit System (LATS). 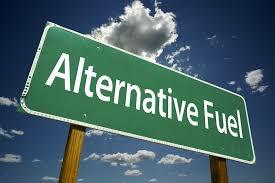 The program will begin when school resumes in January for the spring semester. When Jeff Meilbeck was in sixth grade, he went to the top floor of his Chicago middle school and looked out the window. “I remember closing my eyes and saying, When I open my eyes, those [buildings] are going to be mountains,” Jeff recalls. We are sitting in his office at the Northern Arizona Intergovernmental Public Transportation Authority (NAIPTA), in Flagstaff, where he is CEO and General Manager. SAN ANTONIO (Nov. 18, 2016) – VIA Metropolitan Transit will join the community in celebrating the start of holiday season and supporting “Small Business Saturday” with complimentary rides on all three VIVA routes, Saturday and Sunday, Nov. 26-27, 2016. OVIPT - Operation Veterans in Public Transportation is SWTA’s new veterans program. SWTA introduces the three main components of the OVIPT Program. Click here to find out more! 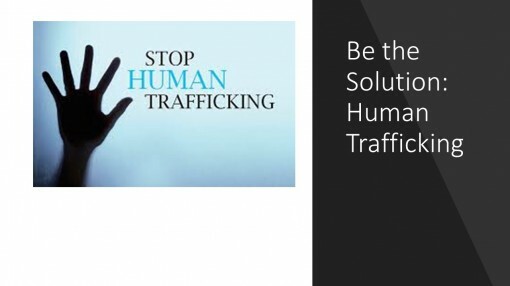 DART created these advertisements to be used for National Human Trafficking Awareness Month. VIA Metropolitan Transit’s Board Chair Hope Andrade was recently awarded the 2016 Russell H. Perry Award at the 90th Annual Transportation Short Course in College Station. This award, co-sponsored by the Texas Department of Transportation (TxDOT), Texas A&M Transportation Institute (TTI), and the Texas Good Roads Transportation Association, recognizes individuals for their significant contribution to the field of transportation. Honorees are selected based on their leadership in advocating and gaining awareness for the need for, and benefits of, transportation facilities in the State of Texas. Valley Metro, the regional provider of bus, rail, vanpool and Dial-a-Ride services, received a $1 million Mobility on Demand (MOD) project grant from the Federal Transit Administration to develop a mobile app that will integrate mobile ticketing and multi-modal trip planning information. The agency is partnering with RouteMatch Software, transit industry technology provider, as well as Arizona State University (ASU), Lyft and the City of Phoenix Public Transit Department to create the passenger-based app. Two individuals were honored at the 1st annual STAR Transit Employee Appreciation Dinner. Eleanor Luttrell was announced as the 2016 Driver of the Year and Richard Powe was announced as the 2016 Employee of the Year. The U.S. Department of Transportation’s Federal Transit Administration (FTA) Acting Administrator Carolyn Flowers announced three Administrator’s Awards for Outstanding Public Transportation Service in Rural Public Transportation. The announcement was made at the 22nd National Rural and Intercity Bus Conference in Asheville, NC. ​FTA sent the following regarding technical assistance on TAM final rule implementation and a clarification on rule requirements. William “Bill” Deville, who has served as CATS interim CEO, was voted by the board to the permanent position Tuesday, September 20. The South West Transit Association (SWTA) announced its 27TH Annual Spotlight Award winners during the Transit Marketing Workshop held at Hilton Baton Rouge Capital Center, Baton Rouge, Louisiana. The SPOTLIGHT Award is the oldest transit marketing and advertising award given in the United States and is awarded for excellence in a total transit marketing campaign with a “biggest-bang-for-the-buck” emphasis.